Our school provides many different programs to help each family find what they're looking for. We offer full day programs for children ages 6 weeks-12 years. Our classrooms are divided into age groups. We have an Infant/Toddler room for children 6 weeks – 23 months. Our preschool classrooms include a 2-3 year old room, a 3-4 year old room, and a 4-5 year old classroom. These preschool classrooms are divided based on the children's entrance date to Kindergarten. All of our preschool classrooms are available for full day or half day enrollment. We also offer our L.E.A.P. Preschool to any child between the ages of 3-5 provided the child can independently use the restroom. We are happy to work with your personal schedule to help accommodate any personal request. 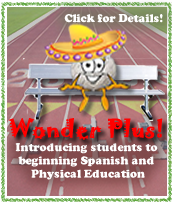 Wonder Years also introduces all students to beginning Spanish and Physical Education through our program. The curriculum is prepared to meet the social, physical, emotional, and intellectual development of each child in our care. Our qualified staff provides a balanced nurturing environment with an educational setting that promotes learning through an active hands-on, exploratory and self-discovering classroom. The curriculum enables children to learn through central themes and emphasizes language experiences, creative play, science, math, discovery, art, physical development, self-help skill acquisition and social development. There are ample opportunities for development of critical thinking by providing choices, problem solving and discovery learning. When planning the curriculum, the teachers provide experiences that reflect and encompass each child's surroundings. We welcome and encourage enrichment courses that provide children opportunities to learn and grow. Wonder Years has incorporated dance, soccer, Spanish, physical education and sign language to our program. This year we will incorporate GEMS activities, ZooPhonics, and Numbers Plus into our daily curriculum. These programs will enhance our language/ literacy, science, and math curriculum. We welcome and encourage parent involvement in our school. Children are excited about their learning and want to share all the important information they are learning with their loved ones. Our teachers provide a daily communication sheet about your child's day. Taking time at dinner to ask about his or her day may spark an enlightening conversation of what goes on during your child's busy day. Wonder Years provides learning experience through fieldtrips, center functions, classroom celebrations, and daily interactions at school. We want everyone to receive the most out of their child's learning experience and the best way to do that is through involvement. Feel free to come in and have lunch, read a book, join us outside for some exercise, or a trip to the pumpkin patch. The children love to have their parents with them and so do we. Our teachers send home Daily Reports to let you know what your child has been doing during their busy day. In addition to these reports, each classroom has a Parent Information Board that contains a weekly lesson plan and newsletter, a daily schedule, a monthly calendar and other important information about our center. 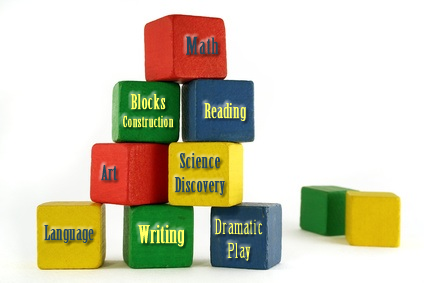 Our ultimate goal is to help each child reach his or her full potential upon entering Kindergarten. Our teachers are constantly observing each child to learn their areas of strength and weakness. Each semester our teachers will fill out a Developmental Assessment card for your child. We will schedule conference times to discuss your child's progress at this time. If you have concerns at other times, please feel free to set up a conference with your child's teacher at your convenience. To enroll your child in Wonder Years your child's paperwork for the State of Missouri, our center paperwork, yearly contract, and an initial orientation visit for transitioning must be completed before your child's first day. After completing the child's enrollment packet we will need for you and your child to spend time visiting our preschool which will aid in adjusting to our routine and will help us get to know your family as you begin to get to know ours. This is best done by setting up time to spend with your child in our classroom, so our teachers can begin to know your child and the goals we will be working on together with you. You're welcome any time for your visit or set up an appointment with the center before your first day.